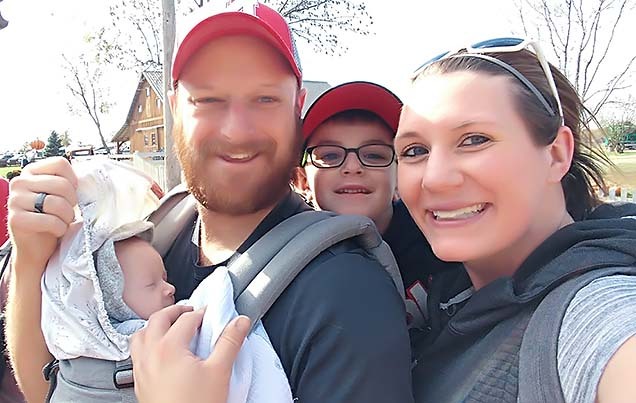 When she started her college career in December 2014, Christa was the busy working mom of a one-year-old son, Truman. married, and she and her husband, Joe, had their second son, Macklin. underwent three surgeries, including one while pregnant. cared for her husband, Joe, who suffered kidney failure and needed a kidney transplant. used social media to search for a kidney donor — and one came forward — and matched! helped care for Joe through the transplant and recovery. 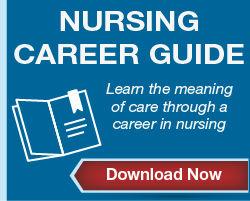 accepted a nursing position on the hospital unit where Joe received his kidney transplant. But she doesn’t speak of the challenges with bitterness or regret. Instead, her story resonates with laughter. And gratitude. And rock-solid faith. “I always knew healthcare was something I wanted to do,” said Christa, a native of the small town of Syracuse, about 50 miles south of Omaha. She grew up riding along to medical emergencies with her mom, a 25-year member of the all-volunteer Syracuse Rescue Squad. Eventually, Christa and Joe both became volunteers on the squad in addition to working full-time. 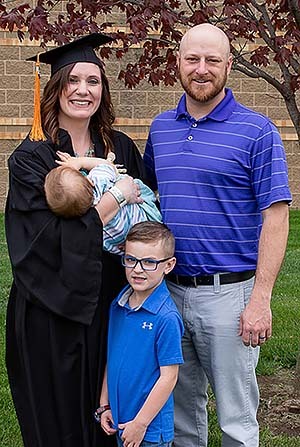 It was a little over four years ago, when Joe’s job as an agronomist brought him closer to their home in Syracuse, that Christa felt the timing finally was right to pursue a nursing degree. Christa was determined to manage the heavy workload of classes, studies and daily commutes to Omaha. Life got increasingly complicated as Joe’s health spiraled downward. Years before, Joe had been diagnosed with a rare genetic kidney disease called focal segmental glomerulosclerosis. Medications could no longer slow the disease progression. 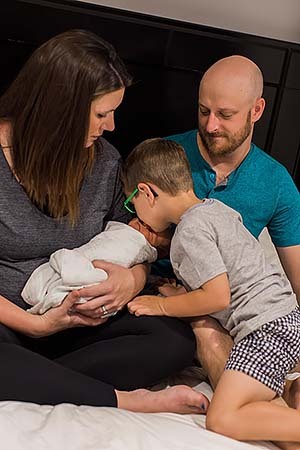 In August 2015, just a week after their wedding, Joe’s kidney function dropped to only 20 percent of normal, and he was put on the transplant waiting list at Nebraska Medicine. None of the family members tested were a good match to give Joe a kidney. Joe spent a year on the wait list before the miracle happened. The facebook page Christa had created, “Joey’s Kidney Journey,” was read by Dan Masters, another husband and father in Syracuse. The Reisdorff and Masters families were acquainted through work and church but weren’t close friends then. They are now. 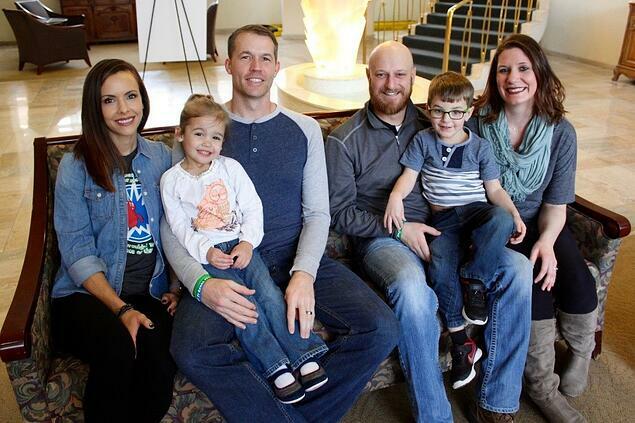 Shown below: Liza and Dan Masters with daughter Chloe; Joe and Christa Reisdorff with son Truman. When she heard Dan was being tested, Christa teared up with gratitude. Still, she knew a match and a donation would be very, very unlikely. Christa’s remembers the November 2016 transplant as an emotional time when she felt the full circle of life, hope and faith as never before. She and Joe feel deeply blessed by Dan’s gift, Joe’s recovery and the arrival of son Macklin, now 9 months old. Christa said every step of the journey was made easier by the outpouring of support from their family, friends and church community. Christa said she is also extremely thankful for the ongoing support of the TRIO Student Support Services group at NMC, especially program director Dr. Lisa Johnson. Through TRIO, Christa experienced another layer of individualized attention and resources that helped her succeed as a first-generation college student. In addition, Christa said she is eternally grateful for the financial assistance she received in her senior year as a recipient of a Carolyn Scott Distinguished Student Scholarship. 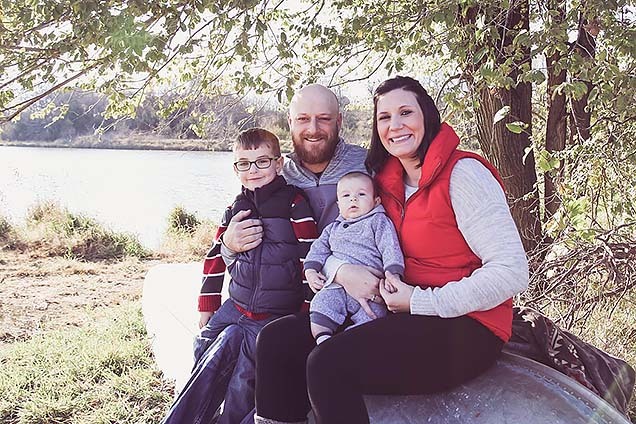 Christa is looking forward to returning to the Nebraska Medicine Solid Organ Transplant Unit where Joe had his transplant, but this time as a member of the nursing staff. Working on Joe’s unit, Christa believes, is another of the many meant-to-be parts of the crazy life plan she hadn’t foreseen. “I’d originally been attracted to pediatric oncology,” said Christa. But after seeing how an organ transplant can help a person, and after experiencing what the family of a transplant patient goes through, Christa had a change of heart. 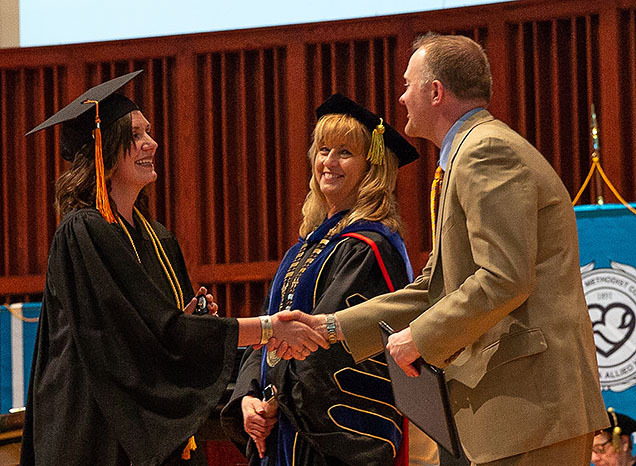 Nebraska Methodist College congratulates Christa Reisdorff and the other 187 Spring 2018 graduates who have chosen to make a difference in the lives of others through their careers in healthcare.